Here is a video overview of the Kava Theme that comes bundled with the Crocoblock suite for Elementor. The theme is shown in more detail in the video, as there is a walk-through, while the article below summarizes the pros and cons, with screenshots. This post is part of a mini-series looking at the Crocoblock Suite for Elementor. The first article looked at installation options and provided an overview of the suite. The second article looked at Crocoblock, dynamic data, and custom post types. In this article I want to review the Kava Theme. 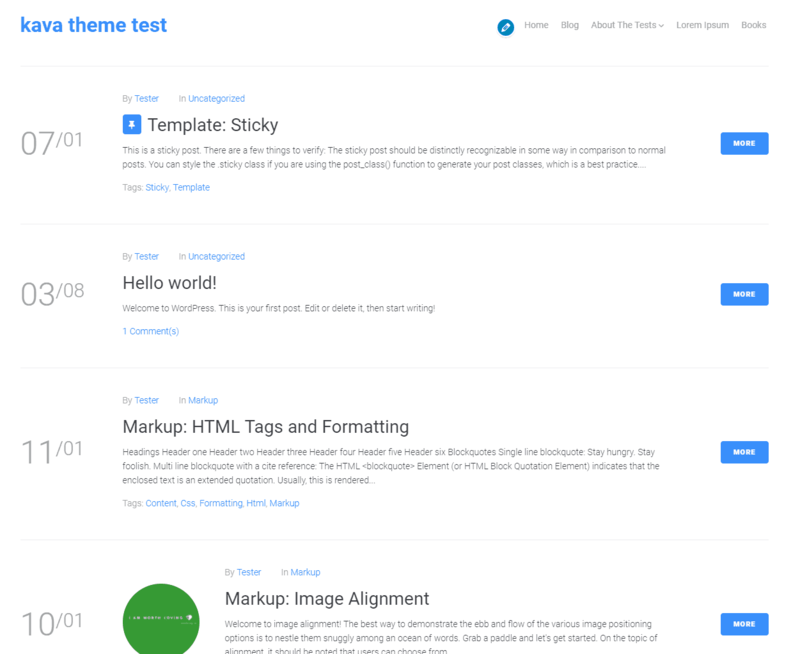 I’ve been using WordPress for a long time and I’ve tested hundreds of themes. When I saw that there was a theme included, I wanted to take a look. I know that some people are curious and wonder what kind of projects it would be a good for. I was given a coupon to try the Crocoblock Suite. As you will see in this article, this is a balanced review. I’m going to show you the problems, the things I don’t like and the limitations, as well as the good features and nice touches. I’m listing the positives first and then the problems. The number of Blog layout options in the Customizer are probably unparalleled in any theme I’ve ever seen. There are literally dozens of options. 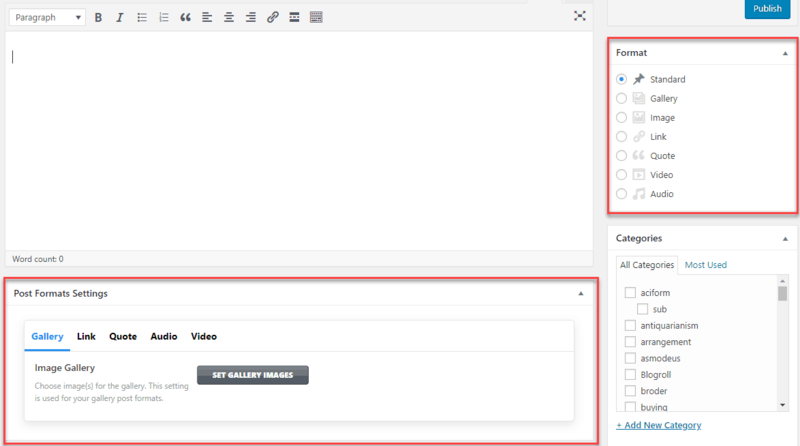 I’ll discuss the Kava Extras plugin more below, but what this plugin does is gives you some options for your post formats. In most themes the post format options just mean minor style changes, but Kava’s are functional. 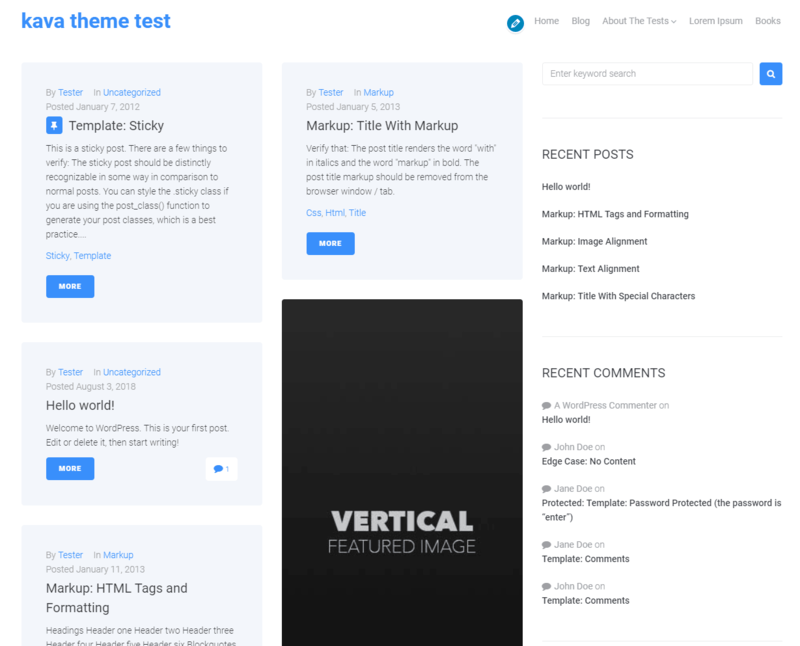 On the right there are the post format options, such as you see in many themes. What the Kava Extras plugin adds is the lower box. 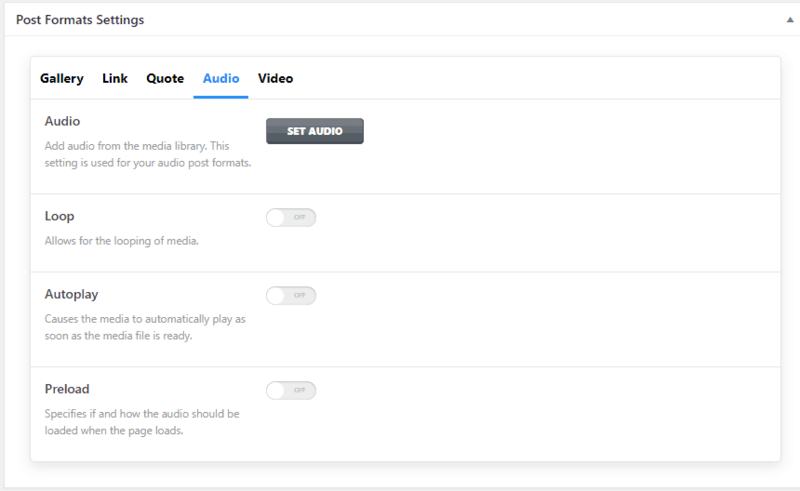 Here you can create a gallery, enter a link, a quote, set a fair number of audio settings (if the post is an audio clip) as well as a fair number of video settings. This is functionality that you don’t usually see. 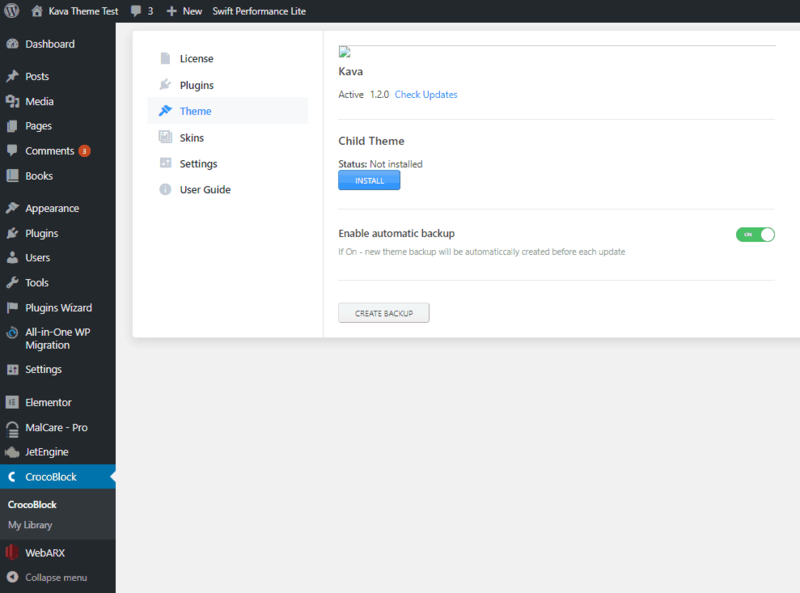 If you install the JetThemeCore plugin, that is part of the Crocoblock Suite, you get a nice option to install a child theme as well as options to automatically backup the theme when there is an update. 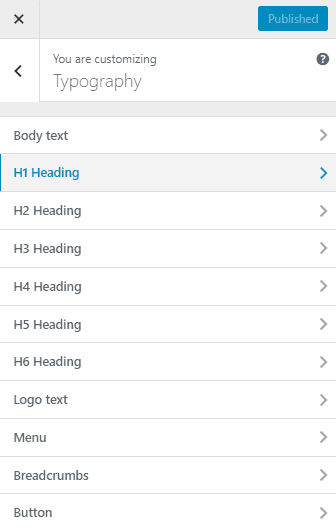 A minor issue I found by looking at the WordPress theme unit test data was that tables are not displayed correctly. 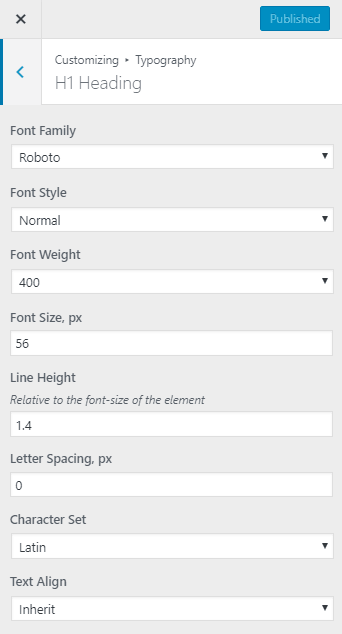 It looks like the default theme style sheet may not include them. As you can see, there is no padding and separation of cells / columns. When going through the options in the Customizer, I could not get the breadcrumb display to work. There are very few options for changing the layout and for customizing the header. This is something that people often need. Perhaps the expectation is that people will use Elementor and Crocoblocks to design their own headers, which is fine, but it is something lacking in the theme itself. 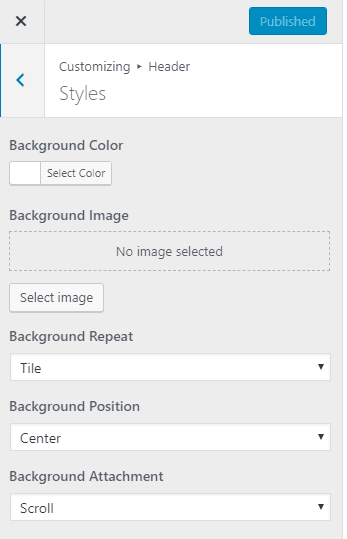 The only header options are related to using a background image in the header. I personally really like using top bars, but I found the options for the Kava top bar to be pretty limited. There are two areas (left and right sides), on the left side the only option is to show the site tag line. I’ve seem this area used for contact information or even for site news. While you could put your phone number in the site’s tag line area, I believe that information has some SEO value, so I wouldn’t do that. I would prefer if it were an area for text and HTML, like the footer copyright area. On the right side there is a place for a social links from a menu. That is very nice, but it would be better, in my opinion, if you could use any widget or menu there. I frequently put a contact and login menu up there and use the main menu area for important content that I want visitors to see. Perhaps not a huge deal, but there is very little space between the right side of the content and the sidebar. This would need to be adjusted with custom CSS. I drew a red line on the image below to show what I’m talking about. The Kava Extras plugin adds some nice features, which I described above. One issue with it is that it is not shown on your dashboard on the Crocoblock site. The only way to get it is to install the theme using the JetThemeWizard. I asked myself, what kind of theme is it? It is not a magazine theme, not a business theme, not a multimedia or band theme, and it is not a fashion or restaurant theme. I came to the conclusion that Kava is an Elementor theme. It wouldn’t make much sense to use Kava without Elementor. There are some populate general use themes like Astra, GeneratePress, and OceanWP that also work very well with page builders. 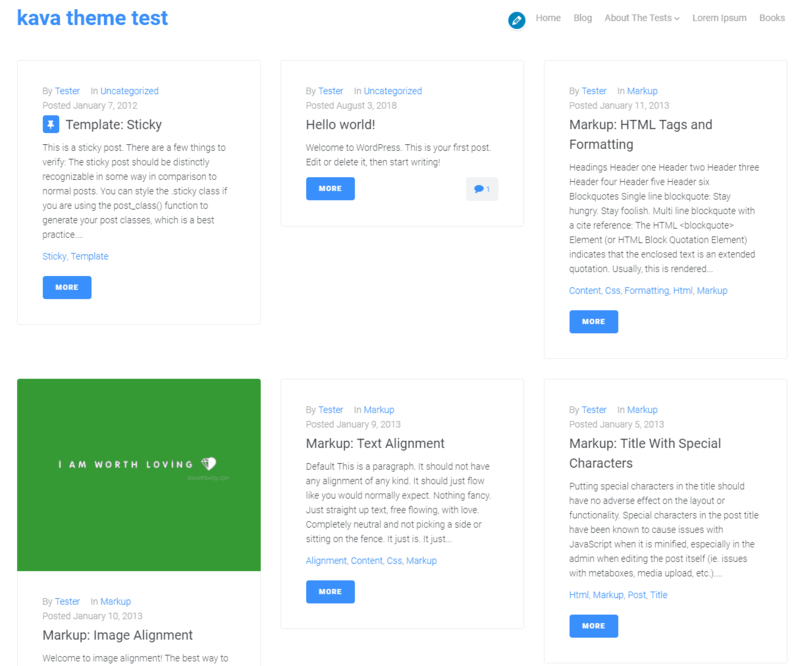 Other than the large number of blog layout options that the Kava theme offers, these other themes have many more options for things like the header, menus, footer, layouts, and so forth. They also expose hooks within the theme UI for advanced layout and display. I personally prefer to use a good theme like one of these for the header and footer, and use the page builder for the content. If you are like me, then Kava might not be your first choice. I’ve seen a few discussions where people ask if themes are dead? Has the age of WordPress themes passed? 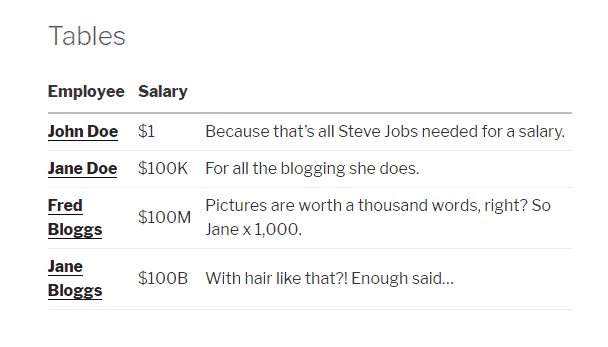 The thinking goes like this, now that you can build a custom header, footer, and content templates with page builders, themes with lots of options are not as important. If your plan is to create the headers, footers, and content templates from scratch with Elementor Pro and Crocoblock, then using Kava makes more sense. It is designed to work with Elementor and the Crocoblock Suite, and you eliminate another vendor and license cost. This is my review of the Kava theme. I hope you found it useful.